How to Install Windows XP on a Dell Vostro 220 or Vostro 1520, the Crashless way! Greenwire® > IT Tech Support Articles > Microsoft Windows > How to Install Windows XP on a Dell Vostro 220 or Vostro 1520, the Crashless way! Steps that you must perform before Windows XP will Install: Below is a narration. Use nLite to Copy files from XP CD, Slipstream and make ISO with the new disk image. Watch out on the License Keys, you may have to use SP2. Eric reports that if you install the chipset drivers before installing the other drivers you can end up experiencing a variety of strange issues. Eric reports that you can solve the problem by installing “Desktop System Software (DSS)” which is found in the System Utilities section [under Vostro 220 on the Dell Support site]. When checking the offerings I noted that one download was recently updated and marked “Urgent”. Thanks so much for the post. Having the exact same 2 issues trying different XP install CDs that I know to be good. I bought 220 with the “FreeBSD” option as Dell charges more for Vista or the desired XP license than I can buy it separately. Was about to cancel a client appoinment and enter tech support hell but now in 45 seconds I’m back on track! Same here. was just starting to worry that XP would not install on Vostro 220. The recipients of this PC do not want Vista even though it should work for them. I told them before knowing of the issues that XP would be no problem. I hate eating my words so you really helped out. Thanks. Thank you for the info, I was getting worried. Thanks so much for this. Have been tearing my hair out trying to get XP to install and was getting the bluescreen when trying to get XP onto them – really glad I found this page. Thanks. Another thank you here !!!!!!!!!!!!!!!!!!!!!!!!!!!!!!!!!!!!!!!!!!!!!!!!!!!!!!!!!!!!!! Thank you, everything installed perfectly. But upon reboot, now I am getting “operating system missing” any clue what happened? Using the procedures outline in the thread (thank you for the clarity) I was able to install Windows XP SP2. The Intel Chipset Drivers from Dell was installed (first update following OS install); however, the PC begins to perform oddly. The network driver has problems obtaining an IP address from DHCP, the USB devices aren’t recognized. These problems don’t occur when video and network are installed without prior installation of the chipset. Has anyone experienced symptoms as described or other problems following the Chipset driver install? I am doing the same thing and the mouse and keyboard are not recognized. Nah, it seemed to work find for me. It does sound like a Chipset problem though. Try getting the chipset drivers from Intel instead of Dell. By the time Dell publishes on their site sometimes they are already old. With the experience of many Dell rebuilds to my credit, I’ve never (prior to this Vostro) installed the drivers listed under “System Utilities” on the Dell website; clearly a section with a misleading name. In this case, after finding no other answer to the problem, I happen to read for the first time the recommended driver install order published by Dell (see link below). What is interesting is the very first item on the list – “Desktop System Software (DSS)” which is found in the “System Utilities” section. When checking the offerings I noted that one download was recently updated and marked “Urgent”. As it turns out, there a a few Hot Fixes included in the Utilities download. Downloading and installing this driver update corrected the issues I was experiencing. I suspect that many others like me, gloss over the “System Utilities” section and miss this update which includes the important Hot Fixes from Microsoft. I’ll checkout Autopatcher, seems like just the tool I’ve been looking for. Once we build nLite images it’s a pain to update it. Much easier to just send out Autopatcher CDS to customers. I was having the same problem as Jake where my “USB” mouse and keyboard were not being recognized…I did a thorough check of the drivers list on Dell’s website and there it was marked as “urgent”….System Software…the site states that if you are reinstalling Windows XP, you shoud install this before the other drivers…and that did the trick!! Thanks so much. You totally saved me. Good article – it can save a lot of people a lot of time with a simple bios setting change. However it’s incorrect to say that AHCI won’t work with Windows XP. I just got 2 Vostro 220’s for my company and have been able to install Windows XP Pro SP3 using AHCI with no problem. If you use nlite to insert the required Sata Driver (downloaded from Dell) into your Windows setup cd, your blue screen of death problems with disappear and your sata drives will be recognized without issue. Granted, you can just run the system in “ATA” mode and not worry about the sata driver, but if you want the benefits of AHCI, it’s possible with a little effort. You’re absolutely right. I suppose a better way to phrase it is “Windows XP doesn’t support AHCI out of the box”. I found this site AFTER seeing another site that suggested switching from AHCI to ATA. So I have XP installed and the system is up and running. Is it possible to switch the mode back to AHCI now? I tried just making the switch in system settings at startup, but the system wouldn’t boot. It seems to be running fine in ATA, just curious if you can change after the fact. Or is it worth reinstalling the OS with the slipstreamed SATA driver now before I start loading apps and moving files. If I understand correctly, you installed Windows XP with the SATA controller set to ATA then once windows was installed switched back to AHCI? Did you install the dell AHCI drivers before turning on AHCI? Unfornunately I believe that once you switched back to AHCI you may have confused the bootloader. Perhaps when you changed it back to AHCI it detected it as a different controller? If you have the AHCI drivers correctly installed into Windows, I would try booting from an XP disk, loading the AHCI drivers during the setup then use the recovery console to run bootcfg /rebuild. Alternatively you can go the easy route and just slipstream the drivers into the disk. I would recommend this route if you want the benefits of AHCI otherwise it’s probably going to be a messy process. i am not able to install windos xp from ghosr server. I’m sorry, you’re going to have to provide more information. You are a God among men. First day back from vacation, setting up 3 of these machines starting off with a bluescreen was like a kick in the teeth. This made my day a lot easier thank you. Thank you so much for this post! Was the first result on google and got my windows xp install going quick and easy! Thanks again!! Which SATA driver do you need to download in order to switch back to ACHI? Thank you a lot, it’s very helpful! Thanks man, nothing like getting a new system in, building an install disk with nlite, and then promptly getting a blue screen. Nice easy work around. Thanks, I owe you one! Hi, I’m curious as to the process of downgrading from Vista Business to XP is possible, I assume I still need to either change the BIOS setting from AHCI to ATA to load XP but is anyone aware if it is possible to use the Recovery method of installing XP over Vista? You are a life saver. Thanks so much for sharing. The disk the manufacturer provides may have the AHCI drivers preloaded. Although I’m not sure about this. If you use the most current Dell XP-Pro OS disc you will not have any problems and will not need to pre install drivers for Sata, etc. For some reason it works in Optiplex 745 machines which have Sata HD’s. So, I’m not sure if you guys are using retail purchased XP-Pro, but if you’re installing in a Dell, their XP-Pro disc seems to have this issue covered. Most people installing XP on one of these computers are doing so in a VLK environment. Great tip. Worked like a charm. Just used Acronis to do a universal restore from vista to XP first time BOSD. Then i busted the Chipset drivers open and added them to Acronis to install when imaging. worked perfectly no problems. Thanks – had exactly same issue. All good now! Thanks – had the same problems with XP. Thank you so much! You’ve saved me! However, I have encountered one problem. I now can’t connect to the internet with an ethernet cable. When I had Vista I could just plug an ethernet cable in to my PC and in to the switch box in the office. 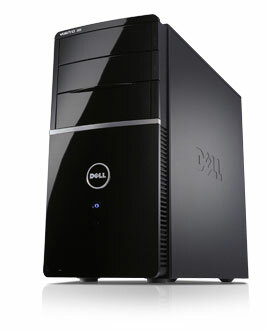 I’m using a Dell Vostro 220s. Any idea why this is? Am I being daft? I’ve tried the connection wizard but it says I don’t have the right hardware? Am I missing some drivers? Sorted it, all of the drivers needed reinstalling. Thanks! Thanks for the useful information. Much appreciated. Disabling all the integrated hardware except USB controller and selecting PCI as the default display in BIOS got me past the pci.sys error. This is seriously great advice…. I was having issues trying to slipstream in drivers and service packs… and this seriously took care of the issue…I second Jim’s comment. Did any managed to get all their drivers? i’m having the same problem, during installation of windows xp and i got the Blue Screen. i called the Dell Hotline, explained the problem to them. They then sent their Field Engineer to rectify my problem the next day. He just changed the Hard Disk and Ram and everything works fine. I sold a Vostro 1520 to one of my customers. trying to install Windows XP Home and or Professional, every time right after drivers load I am getting this BSOD. discussed with one of my Microsoft Guy, what he recommended was to order downgrade version of XP as this 1520 N machine doesnt come with OS. I was getting the same problem with the blue screen when trying to format a Vostro 220s and switching the HD Controller to ATA did the trick. Thanks for the help. Thanks for the info. Vostro 220 came with Windows 7. After changing the settting from AHCI to ATA, Windows XP Service Pack 3 installed smoothly. I had downloaded all of the Dell drivers from the Dell website onto a usb drive, installed them and I am not having any issues. How can I install window XP? Ok, I really need some advice because I just bought 2 compters for work and now we cant use them because of win7 not being compatable with some software we use. I did the procedure above and it loads all the XP intitial files and then I get this error: aic78u2.sys caused unexpected error (32768) at line 3540 in d:xpspbasebootsetupsetup.c. Does anyone have any idea how to get around that? Oh, by the way I have 2 Dell Vostro 430’s that I need this downgrade on ASAP! It will not be a fun Monday if I don’t get this working. Thanks in advance!!!! My pc (vostro 220) is in a really bad shape and needs an xp reinstallation.. (format c: and start from scratch) but how do I do that? I’d highly appreciate some help, I have all the CDs required.. Ive never done anything like that. Some tips from the pros, please! You saved a prefectly working PC from the trash. THANK YOU!! Thanks for the info, even a year later it still saved me ALOT of time! !